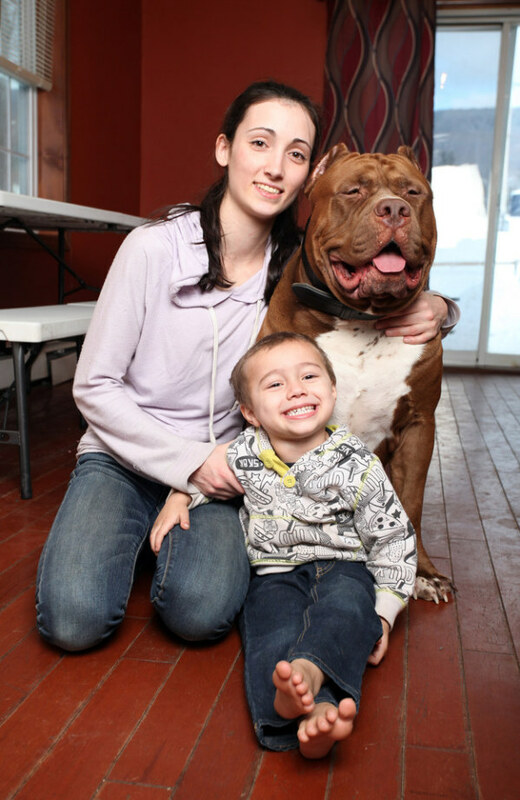 This is an American pit bull terrier named Hulk and his owner, Lisa Grennan. 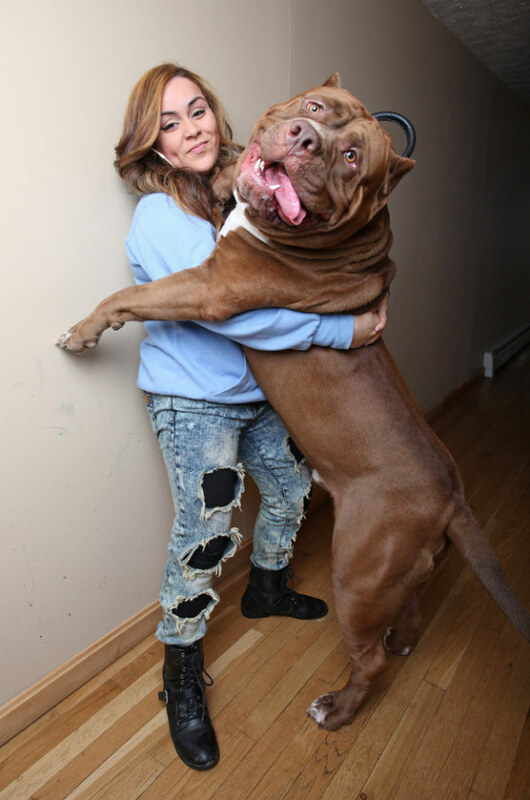 Lately the 174-pound Hulk with his enormous frame has gone viral on the Net. A video of him being weighed last month had over 7 million views as of early this week. 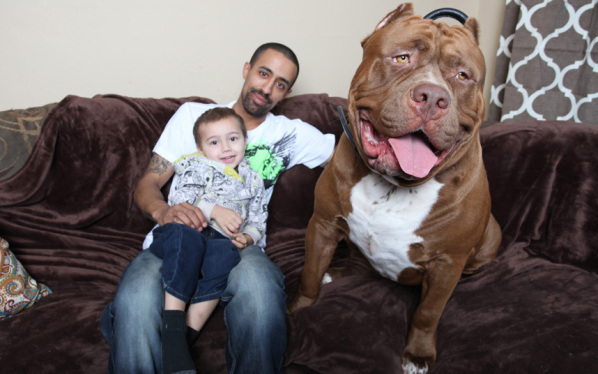 Despite Hulk’s intimidating size, Marlon and Lisa say, Hulk is a sweet family dog and a best friend to their 3-year-old son Jordan. 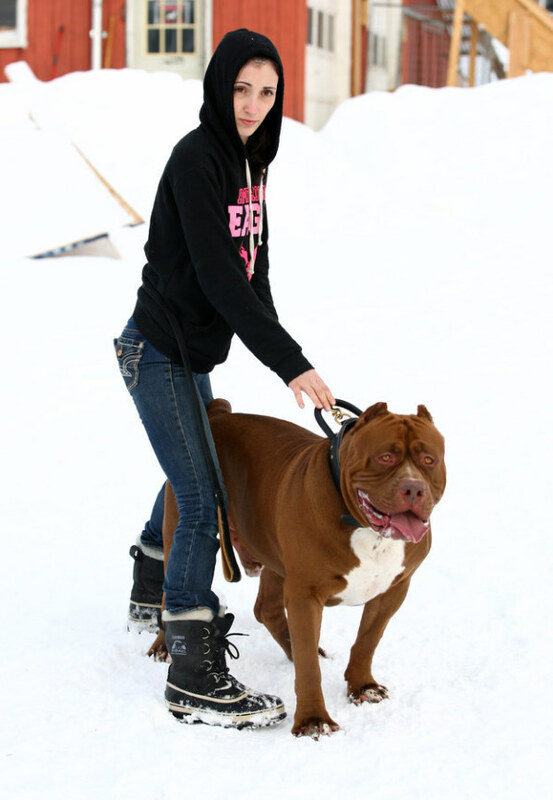 Lisa and her husband, Marlon Grannan are the owners of Dark Dynasty K9s, it’s a family-owned kennel in New Hampshire that breeds and trains American Pit Bull Terriers as protection dogs for clients worldwide. 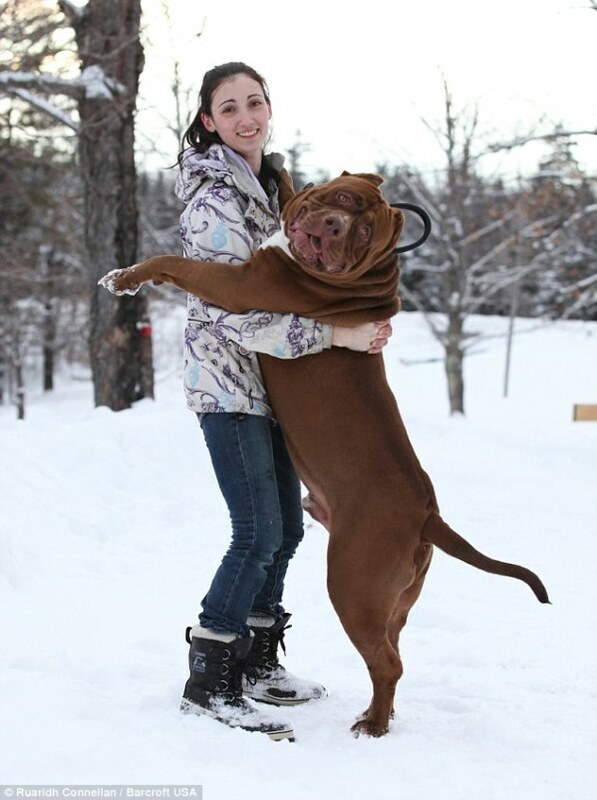 Dark Dynasty K9s is also a member of the American Dog Breeders Association and the United Kennel Club. 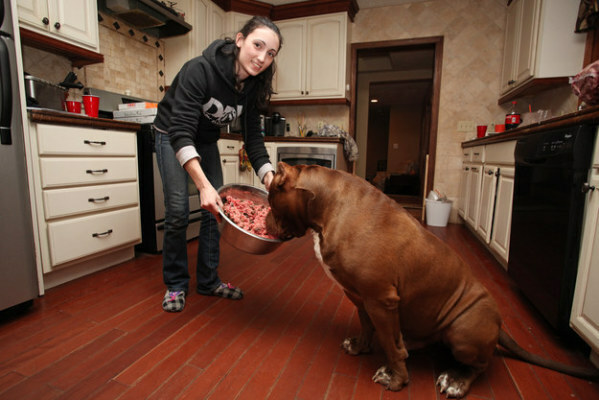 Each day the huge but young pit bull is fed a protein-rich diet consisting of supplements and a whopping 4lbs of ground beef. 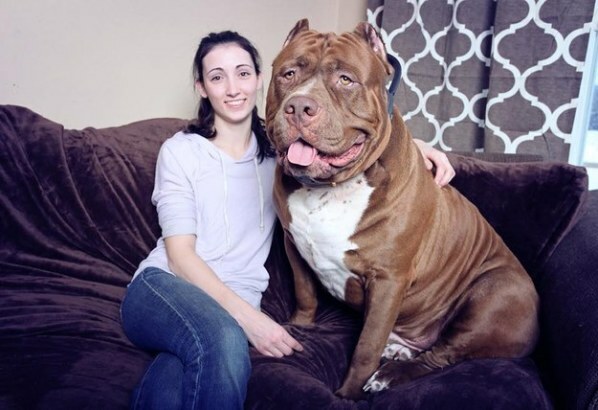 Hulk is believed to be the world’s largest pit bull, AND because he is only 18-months-old, he hasn’t stopped growing yet. As you might be aware of, pit bulls are often branded “dangerous” with breeding bans enforced in various cities and towns, but the Grennan’s claim they are actually very caring pets, and fit for families.